Where is the Freeport Police Department located? How do I get there? The Freeport Police Department is located at 320 W. Exchange Street, one block west of the Stephenson County Courthouse. How do I join a Neighborhood Watch Group? Are you currently hiring for the position of police officer and what are the qualifications needed to become a police officer or other police department openings? Will the Freeport Police Department take my fingerprints for a job application or professional license? The Freeport Police Department will take inked fingerprints for job applications, a professional license or immigration purposes for residents of Freeport or for people who are being fingerprinted because of a business or professions located in Freeport. The organization requesting the prints must provide the fingerprint card, and is responsible for submitting the requested prints to the appropriate State and Federal agencies. Will the Freeport Police Department provide extra patrols while I am away on vacation? The Freeport Police Department does provide extra patrol/vacation checks for people who are out of town on vacation. Due to the high volume of people who go on vacation, the police department cannot guarantee patrols while you are out of town. When you are out of town, it is best to make your house appear lived in. Cancel the newspaper and mail or have somebody pick them up. Leave your lights on timers and leave your itinerary with a trusted neighbor or friend. If a neighbor or friend notices anything amiss at your home while you are gone, tell them to call 235-8222 or if it is an emergency dial 9-1-1 and the Freeport Police will respond. Can officers search vehicles and people on the street for no reason? Police officers can search individuals and vehicles without a warrant for a number of reasons. Different types of searches are governed by constitutional law and must be reasonable according to the circumstances of the encounter. Freeport Police officers are trained and updated on latest search and seizure case law. Can a minor go into a bar and have lunch? According to Freeport ordinance, minors cannot go into bars, even if they are not drinking. A minor can only go into a bar with a parent or guardian. When a person has received a traffic ticket or is arrested, they are required to post a bail, or a bond. This is a surety that the person will come to court. For a traffic ticket, a person can post $75.00 cash bond ($100.00 cash bond for more serious violations), or bail bond card. Bond for misdemeanors is $100.00 and a judge must set the bond for felony charges. Some minor traffic offenses require no cash bond but the violator must promise to appear in circuit court by signing the ticket. What is the difference between an ordinance violation and a criminal violation? The City of Freeport is allowed to enact ordinances to cover building codes, traffic offenses, liquor offenses, etc. If a person is arrested for an ordinance offense, they cannot go to jail for that offense. It is considered a “fine only” and it is not a permanent mark on their record. When do Miranda Rights apply? Miranda Rights most often seen given on TV, is an individual’s Constitutional Right to remain silent and an individual’s Constitutional Right to have an attorney present during any questioning. These rights apply when a person is in custody of the police and under arrest. The admonishments are not required if officers are merely asking general questions to find out what happened at an incident or the personal identifiers of an arrestee. Court Supervision is a finding of the court, which allows a person to plead guilty to a traffic ticket or minor offense and not receive a conviction on their driving record or criminal record. It is a form of probation where the person must report to the judge and stay out of trouble for a specified period of time. When persons successfully complete court supervision, they often have to pay a fine, but do not have a mark on their driving or criminal record. What about all of the solicitors who want money for the police department, are they legitimate? All of us receive phone calls and fliers from different organizations saying they represent the Freeport Police Department in fund raisers. Many of these organizations are shadowy solicitors, not authorized by the Freeport Police Department. 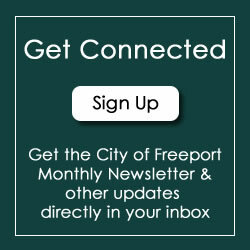 The Freeport Police Department does have an organization, the Freeport Police Benevolent and Protective Association which occasionally does phone solicitation throughout the year. The Freeport Police Benevolent and Protective Association uses the funds they receive to give to various charitable organizations in the community, sponsoring little league baseball, Shop With A Cop, and other worthy charitable works in the community. Can I call the police on my cellular phone? In Stephenson County, if you dial (9-1-1) on you cell phone the call will be routed to the Freeport Police Department 9-1-1 Center. Depending on your location a city or county officer will respond if needed. When should I call to report suspicious activity? If you see some activity that you feel is suspicious in nature, please call (9-1-1) as soon as possible, explain the problem, location, and the description of individuals or vehicles. You do not have to leave your name. If you feel it is suspicious activity, it probably is. You are the one who is most familiar with your neighborhood. The Freeport Police will respond as soon as possible and check out the suspicious people in a professional and courteous manner. Should I lock my doors on my car or my house or when my car is in the driveway? Many people do not lock their cars or their homes, feeling that it is a very safe community. Freeport is a safe community, however, we find that many car burglars move from car to car searching for the unlocked ones. Many times people leave money and valuables in the car and, if the cars had been locked, the offender merely moves on to the next car without entering. You should also lock your house. Often times a burglar will just reach inside the house through a window or door and grab a purse or a set of car keys which are visible from outside. So, to deter this type of thievery, you should lock your doors.